DETROIT RUNNER....: Kind Healthy Snacks review & giveaway! Kind snacks was nice enough to send me a sampler of their snacks. Actually, they sent me a HUGE amount of samples to try out and I've been tasting them over the last several weeks. Here's what they sent. Check out all those snacks!!!! There is a huge variety of snacks that Kind makes. The snacks are Gluten Free, All natural fruit and nut bars. I don't have any issues with gluten but I do have some experience with it since my son was on a Gluten free diet for awhile. In my opinion, it's a difficult diet to maintain and I wish I had known about these when he was on his diet as they are so tasty! This tasty little treat is great to grab right out of the bag or mix into your yogurt. All three flavors were excellent especially the Peanut Butter. It's really hard to pick my favorite but I'd have to say it's the Dark Chocolate Nuts and Sea Salt. I love the sweet and salty flavor together. The biggest issue that you need to watch with these is that they still have lots of calories(about 200 per bar) so you still need to watch how you eat them even though they are healthy. They also have about 15 grams of Fat; however, only 3.5 grams of Saturated Fat so, like anything, they need to be eaten in moderation. I would say that they certainly beat eating a candy bar and are a healthy alternative to that. How would you like to try some for yourself? 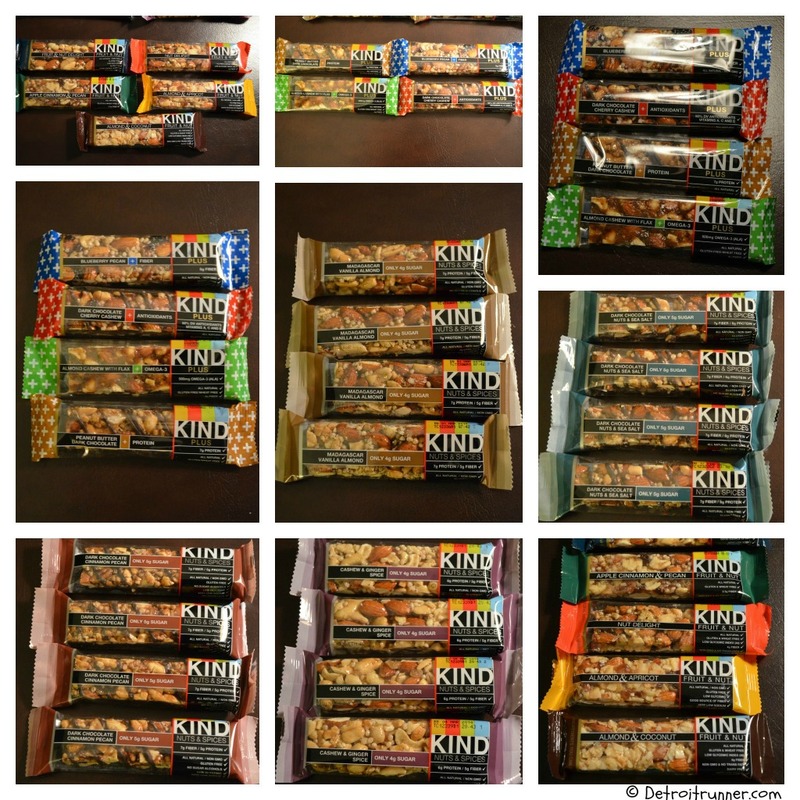 Kind has offered to give away a huge 72 pack sample of their newest line of bars called the KIND nuts & spices. These things will go fast in the house especially if you have kids. Contest will end Thursday, March 7 at 5pm and a winner will be announced March 8th. * Note - I received a sample package of Kind snacks in exchange for this review. All opinions on this blog post are my own and I was not paid or required to give a particular opinion on the product. I already like KIND bar, and I said that you sent me! I already like KIND and told them you sent me. I liked Kind bars and wrote on their wall. I liked their page and commented. and 'Liked' your Facebook Page! I like them on Facebook....and told them you sent me! I also subscribe to your blog and follow you on twitter! Liked their FB page and told them you sent me! I subscribe to your blog, like you on FB and follow you on Twitter. I tweeted about your giveaway today!! I followed Kind and left a message on their facebook page! And of course I follow you via Twitter!! Thanks for the Awesome Giveaway Jeff!